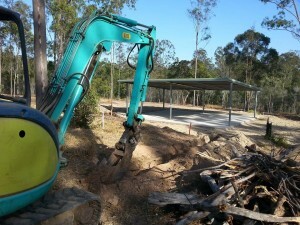 Works are now underway on the kids/challenge track and entrance facilities located in the South East corner of Victory Heights Trails. The whole 4 acres downslope of the carpark that was recently slashed and thinned in preparation is now a work site and will be out-of-bounds to the public until further notice. The car park currently remains open as does the usual access to the trails via Trails 1 and 4. 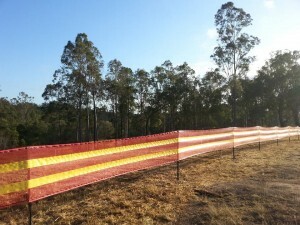 If you are parking at the trails it is advisable to use the Western end of the carpark (up against the log bollards) to allow bulk deliveries and machinery loading/unloading to be conducted at the eastern end (against the red/yellow bunting shown above). Thanks to all the volunteers who are chipping in to help finish the new works and upgrades by Pete and Wayne of TrailWorx which are going in at a great rate of knots. If you haven’t had a chance, go take a look at the revamped Pump Track V2.0. It looks magic and will be a whole new experience to ride once it’s nicely packed down. 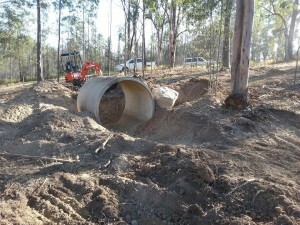 Fingers crossed we’ll get a bit of rain this week or next to help bed all this new work in. Mighty dusty out there at the moment!